The best time to visit the Yaeyama islands is in March, April, June, July, August, October and November. June until August are the hottest months with plenty of sunshine and blue skies. This is also high season for Japanese people and other Asian countries, so accommodations are full quickly and pricier. 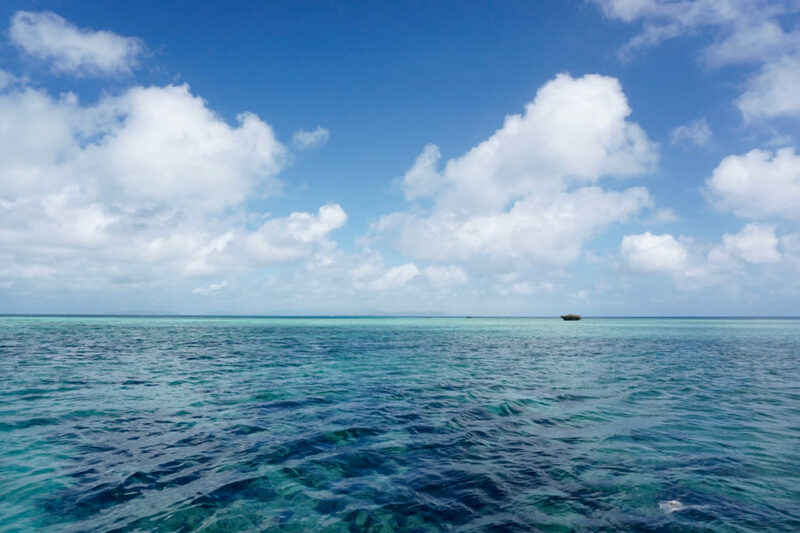 March, April, October and November are also good months to visit the Yaeyama islands with higher chance for sunshine, less humidity and pleasant temperatures. Summer time is hot and humid with beautiful fresh blues and greens. But it’s also typhoon season. From May until October there is a higher chance for typhoons to occur. A must is to regularly check the Japan Meteorologic Agency, while visiting Japan. This agency provides you with spot on information and warnings about weather, earthquakes and typhoons in Japan. It’s in English. Japanese people prepare hotels and other accommodations very well against the brutal weather. At least one day or night, during the peak intensity you can’t leave your accommodation. Daily life is influenced by it as well. Supermarkets and restaurants can’t be supplied for a longer period of time, depending on the intensity of the typhoon. If a typhoon is heading towards your destination, try to change your flight. Flights are cancelled for a period of time. Contact your airline about policies. In general Japanese airlines pay back or change your ticket free of charge. The winter months with more cloudy days, can be good for sightseeing and activities. A little less attractive for a beach holiday. Because of the tropical rainforest climate, plenty of rain will fall during the year. The humidity is high. That’s also the reason the islands are lush green. The rain season is around May/June. As soon as the rain season ends, summer starts with sunny, hot and humid weather.